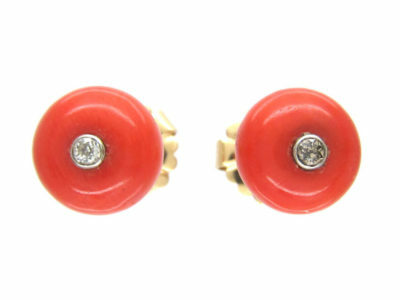 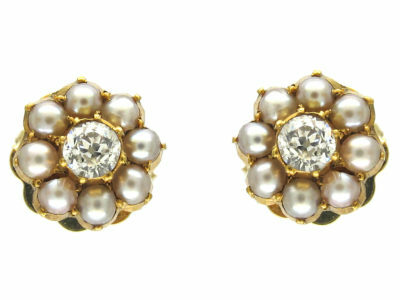 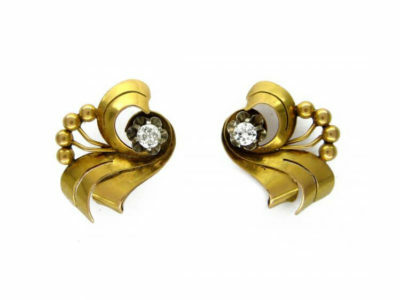 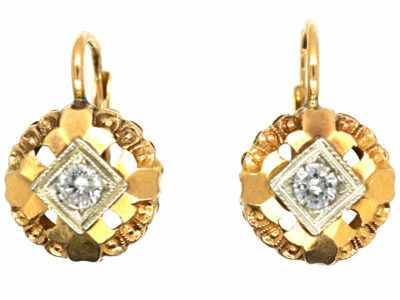 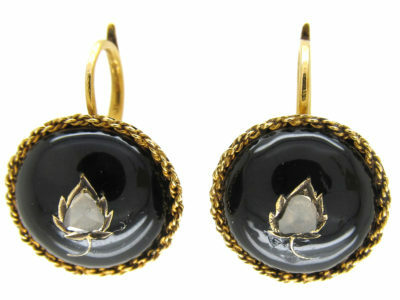 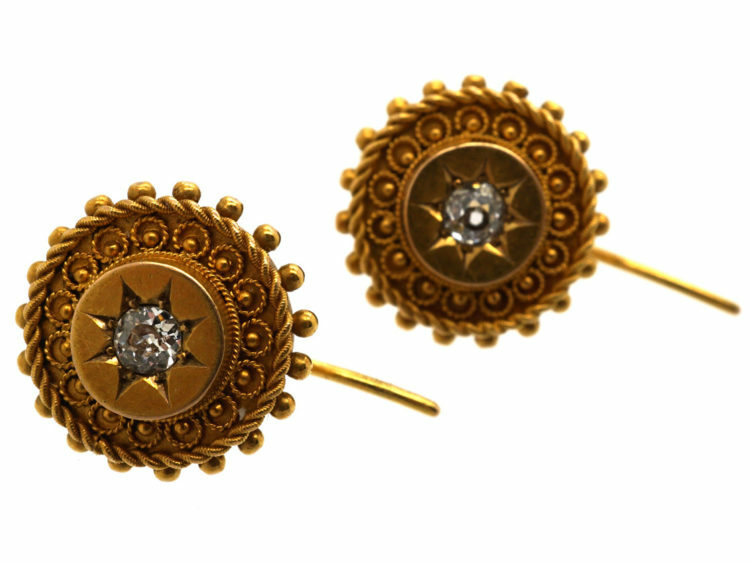 A rare pair of 18ct gold earrings that were made in 1891. 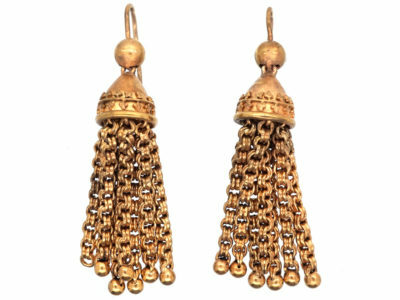 They are in the Etruscan style that was popular in that period and have fine hand applied gold thread and ball work. 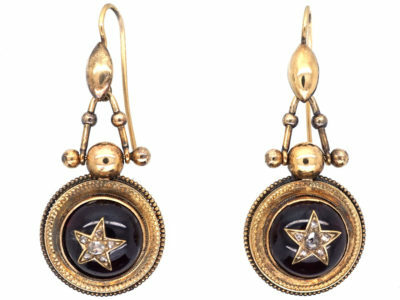 The ancient Etruscans technical accomplishments are astonishing. 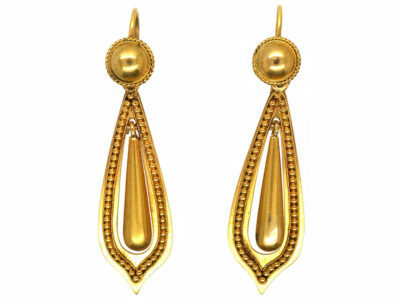 From the beginning, gold workers mastered the most sophisticated of techniques. 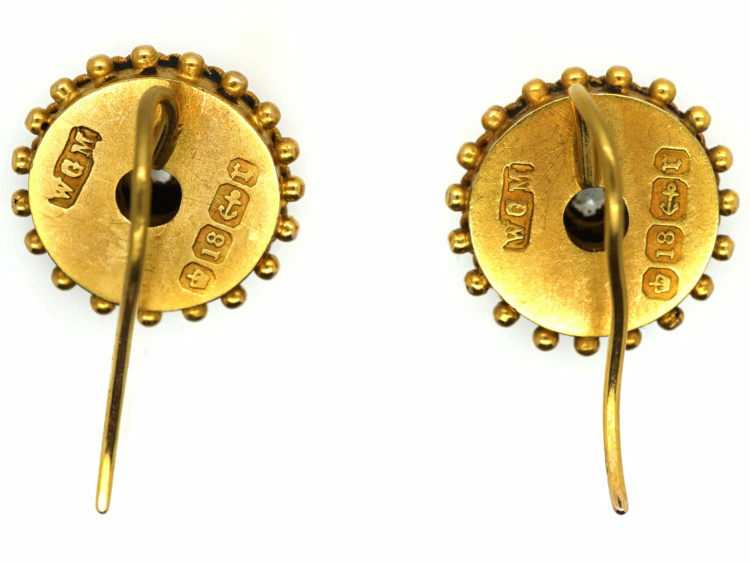 Hammered relief decoration otherwise known as repoussé, filigree and granulation. 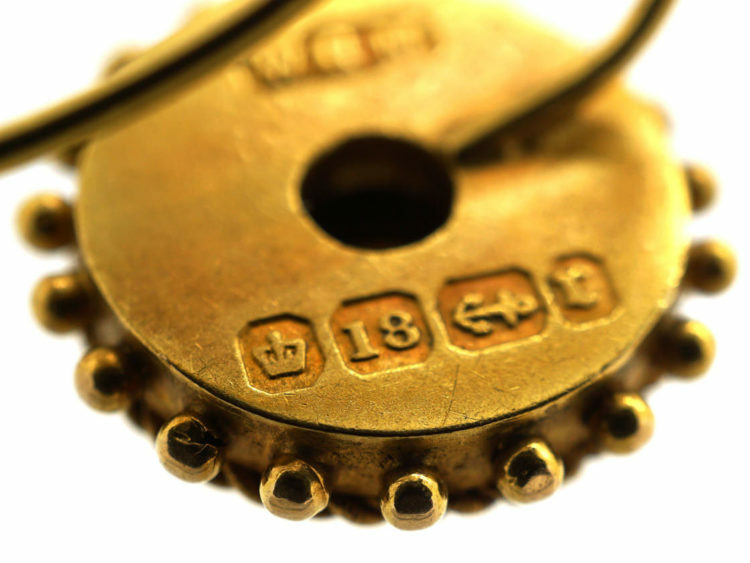 All of these methods were done using simple or basic tools. 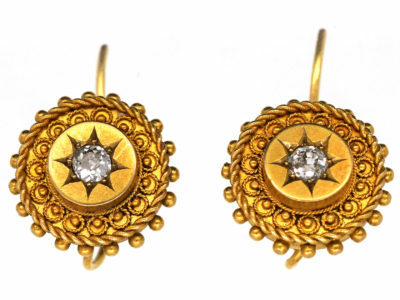 Jewellery from the Etruscan period was discovered in the Victorian period during excavation work in Italy. 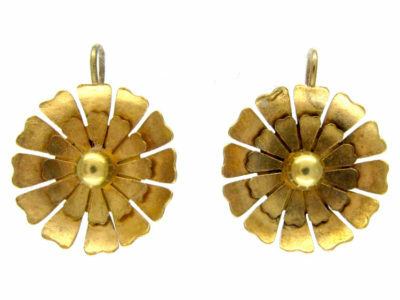 Castellani was the most famous of the jewellers who revived the techniques. 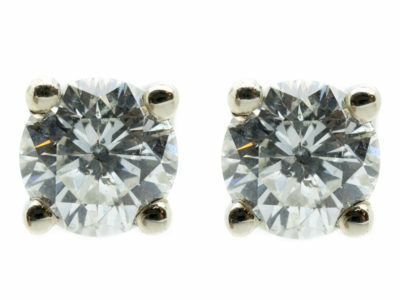 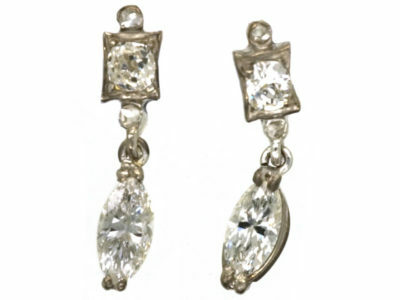 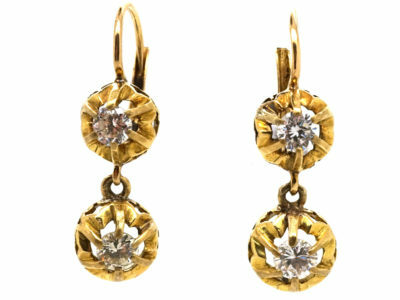 These earrings are beautifully made and are set with an old mine cut diamond in each one.